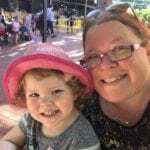 Tropical Twist is located in the rear of the Homeworld Centre on the corner of South Street and Stock Road, O’Connor. 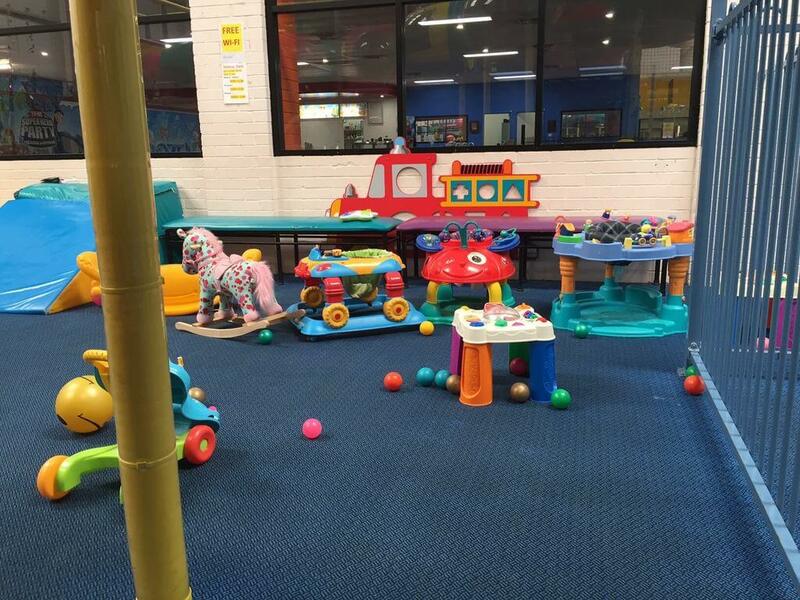 This centre is open 7 days a week, with the exception of Christmas and Boxing Day. 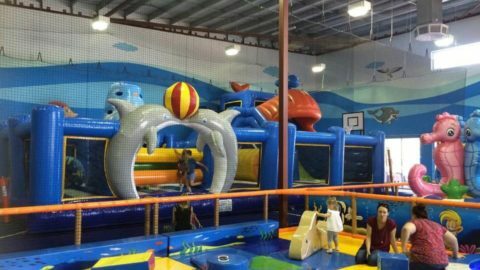 It claims to be “Perth’s Biggest Indoor Play Centre” and, I have to admit, it’s pretty darn big! 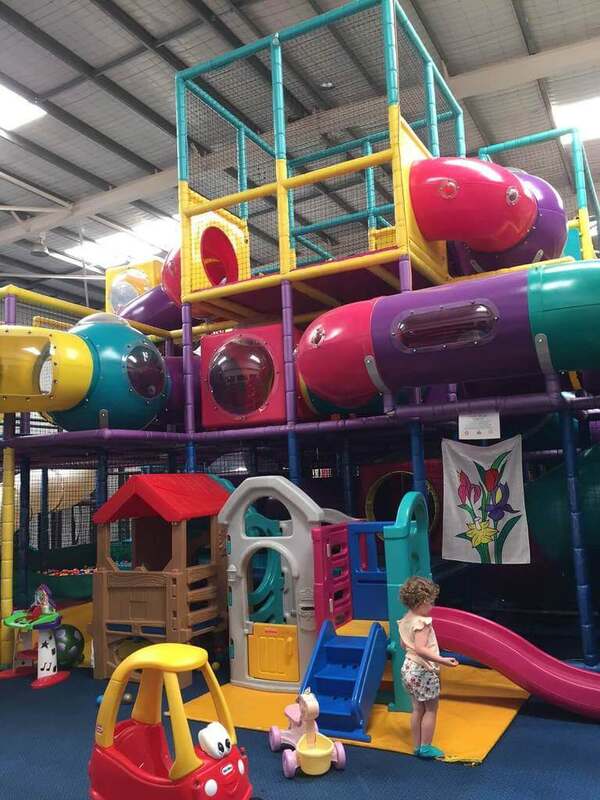 Housed inside a large air-conditioned warehouse-like building, Tropical Twist has a large 3 level climbing frame full of tunnels, climbing equipment and slides that will entertain your little adventurers. 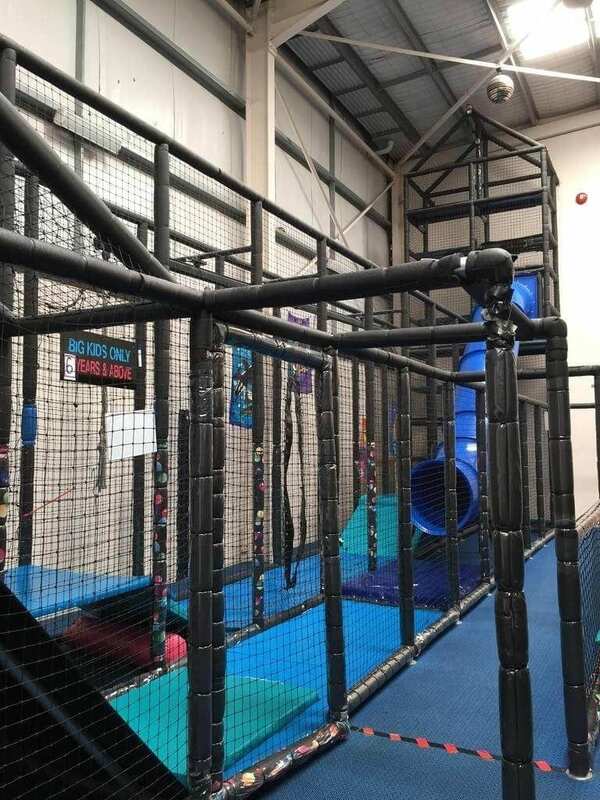 In the lower levels are a large ball pit, a flying fox and swinging rings. 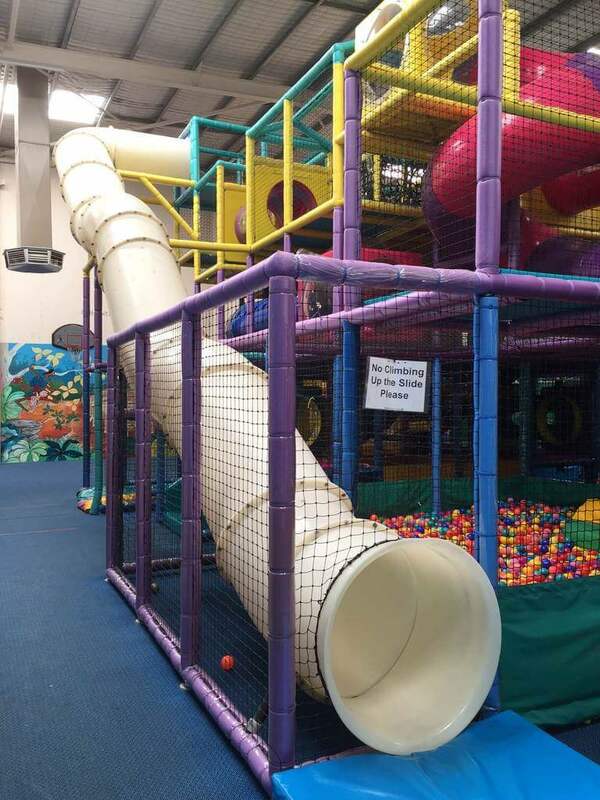 I feel this area would be more suitable for kids 4 and over as smaller kids may find themselves lost in the many twists and turns of the upper levels. 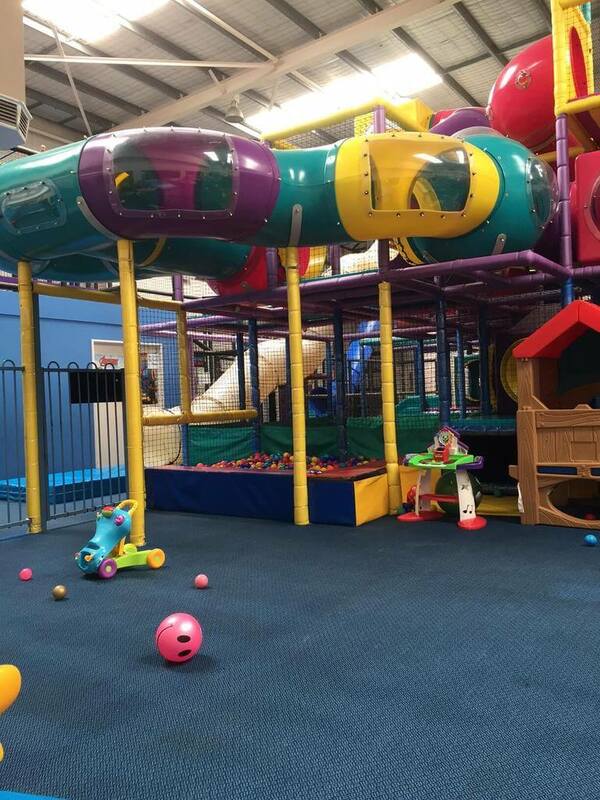 For younger children, there is a separate gated toddler play area for children aged 1 to 4 years. 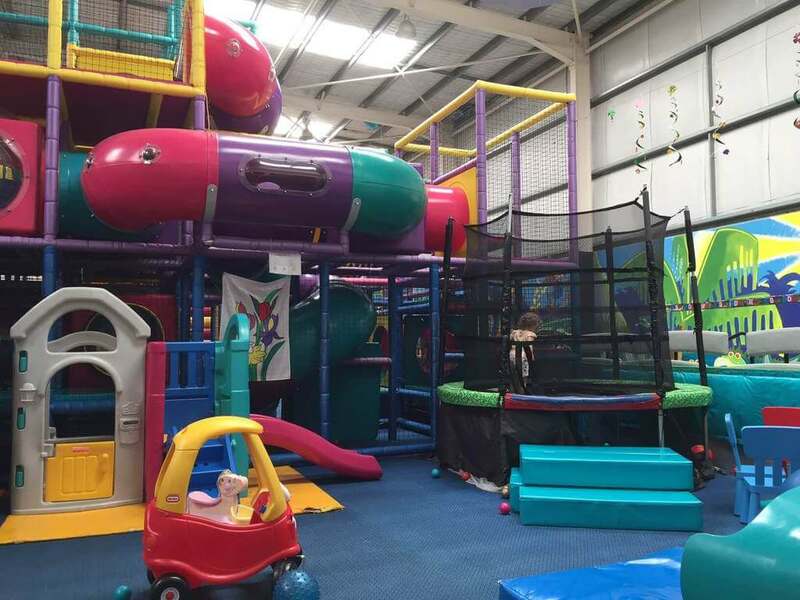 This area has its own smaller ball pit, a trampoline, some ride-on toys and climbing frames with tunnels and slides. 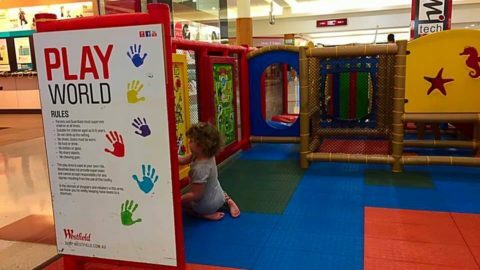 There are also some toys that would be suitable for littler explorers who are just pulling up and beginning to walk and benches along one wall where you can relax as your little ones play. 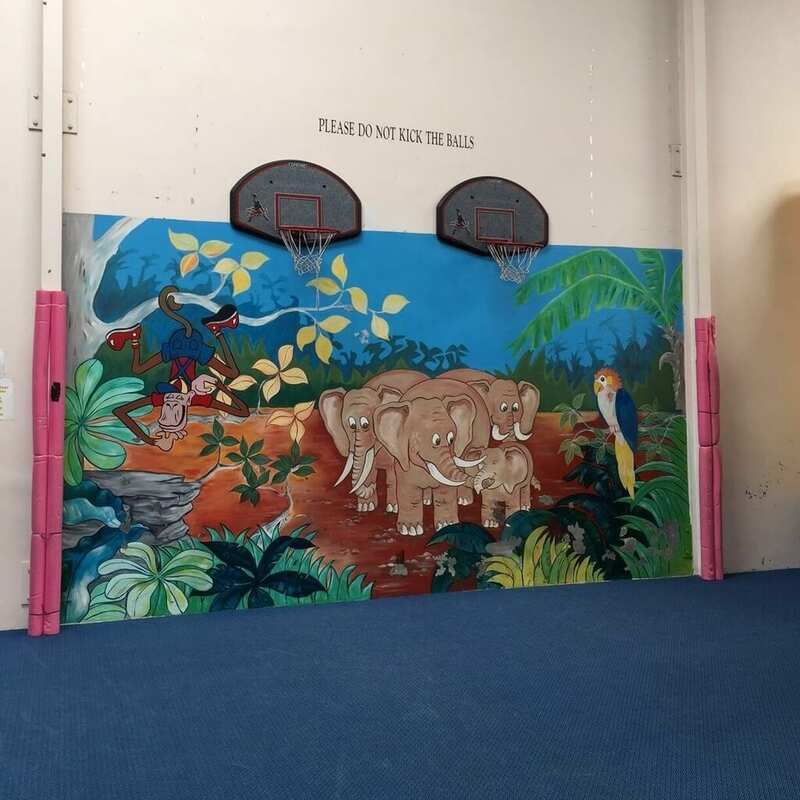 The floor is carpet over concrete, but there are soft mats in strategic places. 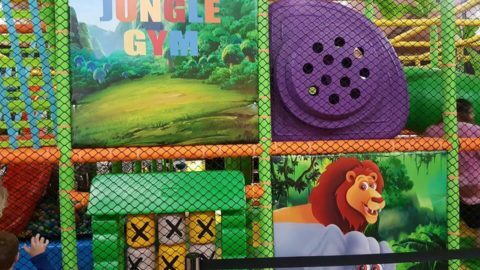 At the very back of the centre, there is a basketball court with a colourful jungle-themed mural, a bouncy castle, and another tall slide for children over 6 years old. The centre has a cafeteria-style café towards the front entrance. 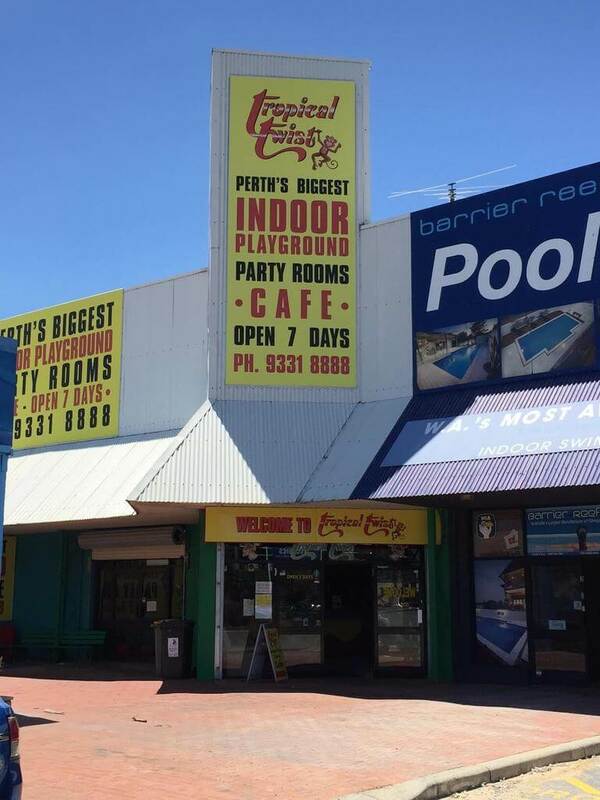 They serve a selection of coffees and cold drinks, muffins and cookies. 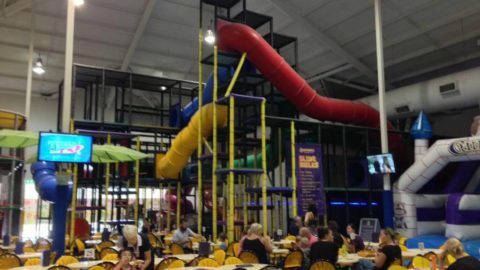 The hot food menu includes options such as toasted sandwiches, fish and chips, hot dogs, and burgers. We ordered a bottle of juice, a ham and cheese toastie, and miss 2.5 opted for a juice and a smiley face cookie. This cost us around $16 and was of reasonable quality. 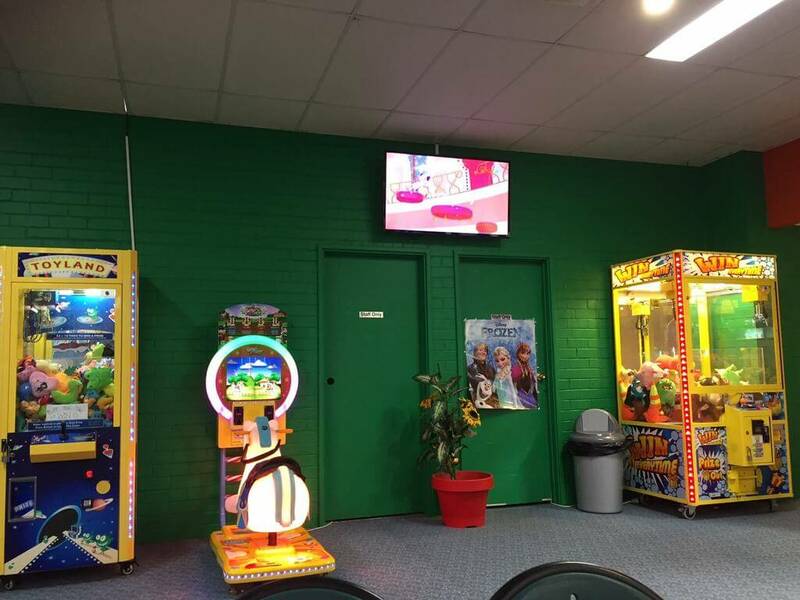 The café area has two television screens playing cartoons, and also houses a number of coin operated rides and games, including a Go-Go Pony riding game (or “sky horsey” as my Cloudbabies mad 2.5-year-old calls it!). 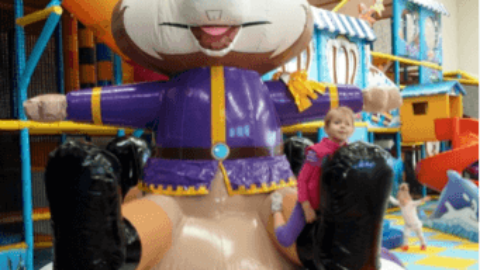 So if your child loves rides, you may want to bring a few gold coins. 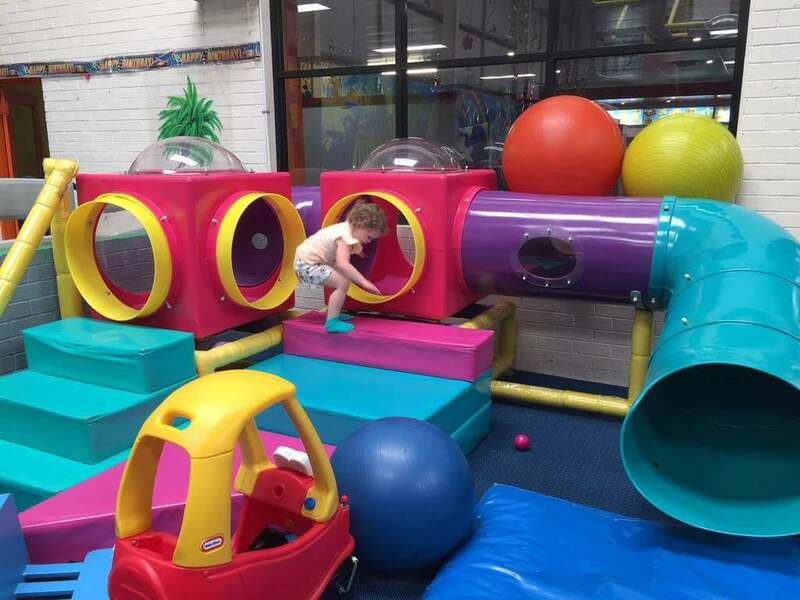 Attached to the café area are 3 party rooms, in a superhero, Frozen and jungle theme. 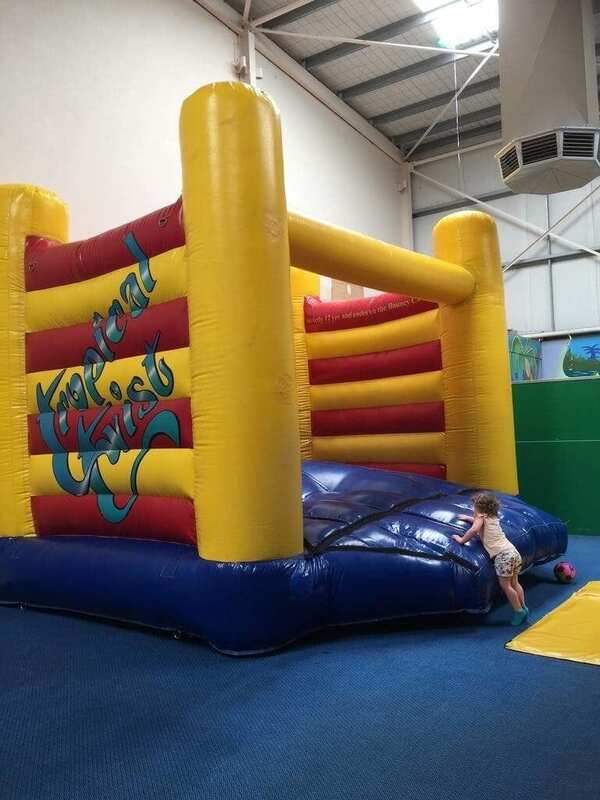 There are a number of party packages to choose from, and room sizes vary. We found Tropical Twist to be pretty clean. The bathrooms were clean when we visited, and we found 2 fold down change tables in the baby change room/disabled toilet, though one of these was out of order at the time of our visit. 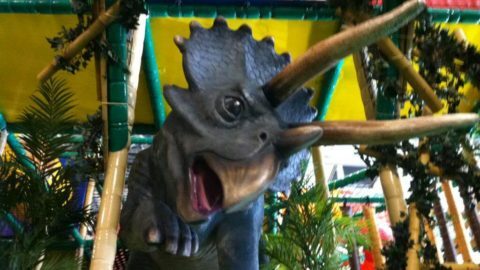 Overall I feel that children from toddlers up to around 10-12 years old would enjoy this play centre. 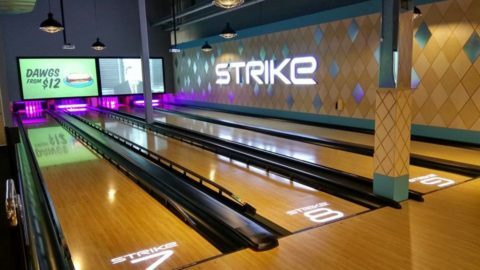 There seems to be something for everyone.